During my 11 months at OVO I worked in 3 different product teams as an embedded UXD, doing user research, ux and ui design. 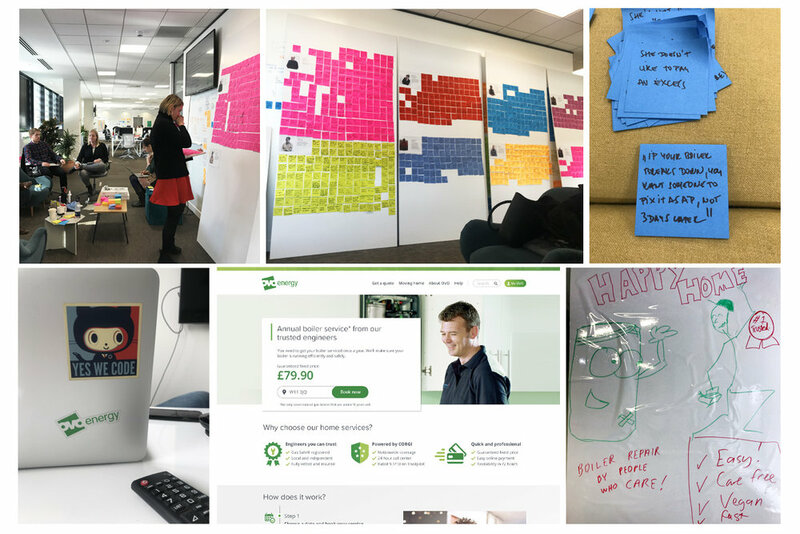 My job was defining, shaping and delivering live solutions, engaging the team and stakeholders in ux activities - like user research, user story mapping, persona building, ideating and putting customers in the centre of our work. 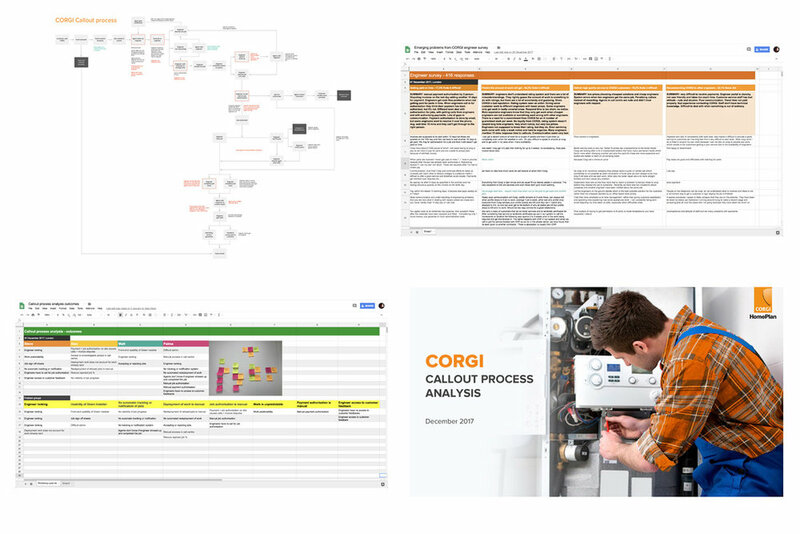 When I joined OVO, I started working in the CORGI HomePlan team and was mostly doing research on their engineer platform as part of the discovery phase of a new product proposition. The research included two focus groups with 15+ heating engineers, talking to customer service agents and listening into calls, stakeholder interviews and workshops and an online engineer survey (in collaboration with the market research team) with 500+ responders. 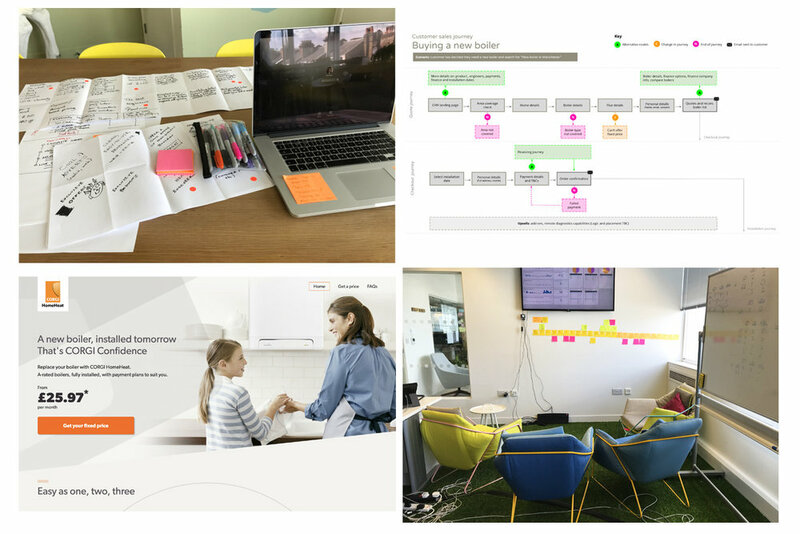 The outcome of the research was process maps, service workflows, personas and a deck with analysis of the gaps and pain points of the service. One of the actions we took was to redesign the engineer job report system to make it more user-friendly and mobile first responsive, so engineers can submit their job sheets and costs more quickly and easily (this was the most pressing issue based on user feedback). I used Sketch & Invision for the design and prototyping and ran a rapid round of usability testing on usertesting.com with engineers to make sure we’re making a positive impact. Over the spring of 2018, the research team at OVO ran an in-depth research around boiler breakdowns and home emergencies in three locations with 10+ participants. We used findings of this research to build new product propositions with the Home Services team. 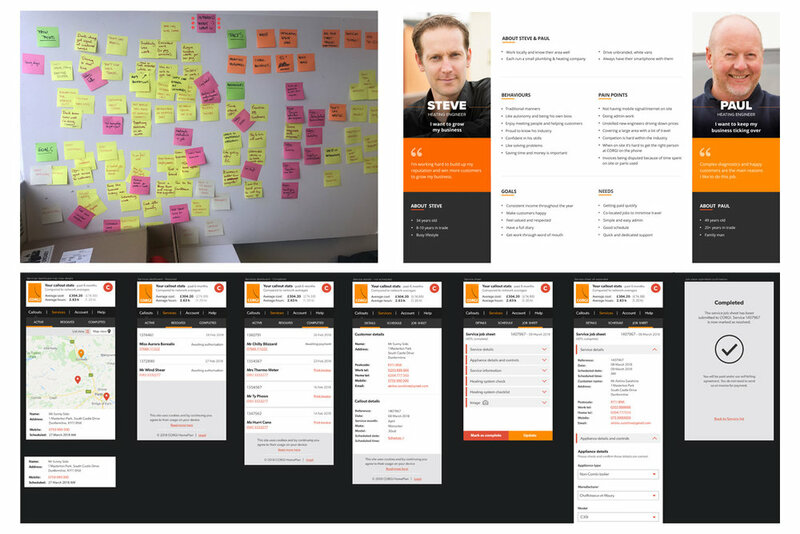 We worked in a lean way with lots of collaboration, discussion, ideation and engaging the whole team in ux and user research activities. We built a new, experimental service in multiple phases - starting with the bare minimum and adding complexity sprint by sprint. Unfortunately this service hasn’t gone live due to business reasons and priorities. Palma Borsi © 2019. All rights reserved.